We all know how flying business class can sometimes feel like a bit of a luxury. For a moment we an imagine we are rubbing shoulders with the stars, strutting the red carpet and staking our claim to fame. But how would we behave if the cabin really was graced with the presence of someone truly powerful? 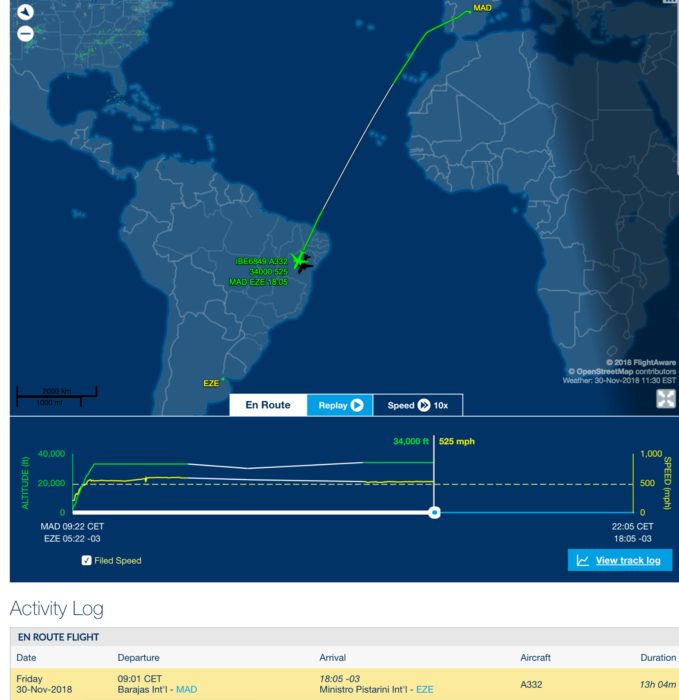 Agustin Aguero found out for himself as he boarded Iberia flight 6849 for a 13 hour trip between Madrid and Buenos Aires. As he was settling in to his business class seat on board the A330, who should appear in the cabin but German Chancellor Angela Merkel and her entourage. Accompanying her were Vice Chancellor Olaf Scholz, not to mention numerous bodyguards and aides. As the cabin filled up, Aguero realised he was going to be spending the next 10,000km next to one of the most powerful women in the world. Merkel and her party got priority disembarkation, leaving the aircraft well before other passengers to head off to their G20 gala evening with other world leaders. Iberia declined to comment on the trip, choosing to maintain discretion for Ms. Merkel. Why was Merkel on a commercial airliner? On route to the G20, Merkel’s usual aircraft, an ultra-secure A340-300 named ‘Konrad Adenauer’, had to make an emergency landing. Touching down at the Cologne / Bonn Airport, it turned out a radio problem had left Ms. Merkel at risk of being incommunicado for her 13 hour flight. 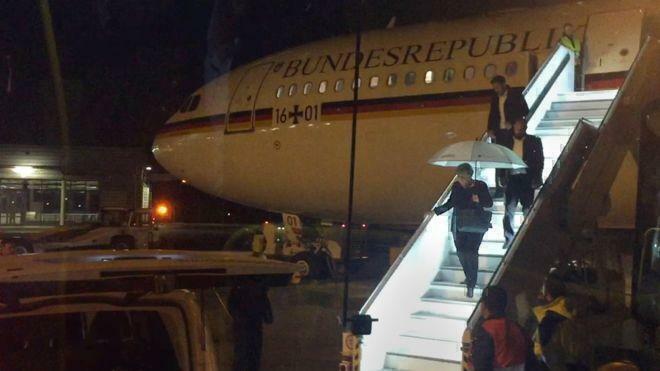 Having established that the German military plane would be out of action for her trip to the G20 summit, Merkel spent the evening at a hotel in Bonn. With no other options open to her, she boarded the commercial flight to Buenos Aires via Madrid the following day. It’s the second time that the Konrad Adenauer has been unexpectedly grounded, having left German Finance Minister Olaf Scholz stranded in Indonesia after a meeting of the IMF in October. The situation then was apparently caused by rodents gnawing through electrical cables. While it’s refreshing to see a world leader travelling ‘just like us’, it’s also highly irregular, so don’t expect to bump into many presidents on your next business class flight!